Some fans debate that there can be no definitive underlining timeline to the Terminator franchise, due to the question of whether time travel takes place within one or multiple, alternate realities. The alternate reality or multiple universe theory of time travel suggests that if one was to travel back in time they would they appear within an alternate reality version of their past, thus allowing the events prior to their time travel to remain untainted from any possible interference they may cause within the original reality, but of which are played out within the new reality. This purely philosophical view of time travel is not shown in the Terminator franchise, what is shown is that events have both a direct and indirect effect on events both succeeding, and preceding said event. For example - Kyle Reese travels back to 1984 becomes John Connors father, John is born only to later send Kyle Reese back in time to 1984. The use of predestination paradoxes in the Terminator franchise shows that only the causality school of time travel is being applied therein. Most fans would immediately answer August 29th 1997. Unfortunately they would be wrong. This is the date in which Judgment Day would have happened if Miles Bennett Dyson's work had continued unabated – Dyson's work which was sourced from reverse engineering the damaged CPU (not the arm) from the remains of the Terminator sent to 1984 to terminate Sarah Connor. The technology of the CPU advanced Dyson's understanding of what was possible, showed him possibilities he had never imagined. Ultimately the damaged CPU accelerated Dyson's understanding of AI, which could have led to Judgment Day on August 29th 1997, but in the original, untainted timeline of events there was no time travel incursions, thus no Terminator and ergo no damaged CPU, therefore Dyson's understanding of AI would not have been accelerated and thus Judgment Day would have happened at a much later date. The question remains however, when did Judgment Day originally occur. The answer is actually within the third movie, Rise of the machines. Dyson's version of the AI that would have controlled the Skynet Defense Network would have been hardware based; essentially a self aware supercomputer, much as seen in the 1983 movie WarGames. By contrast, what was developed in the third movie was a computer program, a piece of software, a string of code that attained self awareness and launched a fire-sale attack against the infrastructure of US society forcing the USAF to bring Skynet online, giving the software access to the automated drones and nuclear weapons it needed to launch Judgment Day. This software based AI was developed without assistance from Dyson's work, and was the result of natural scientific understanding of AI which ultimately resulted in a date of Judgment Day of July 24th 2004, as it would have occurred in the original, untainted timeline. What does all this mean? In terms of the previous four Terminator movies, quite a lot. Most fans hold the belief that the events of the second movie changed the future, and that the events of the third and fourth movie are played out in a timeline of events with unseen and uncertain ramifications. What the above revelation shows is that it was actually the first movie that changed the future, with the second correcting the possible change in the timeline before it could occur – Skynet sends a Terminator to 1984 to terminate Sarah Connor while also foreseeing that its presence would lead to the best engineer, Miles Dyson, from the leading computer systems company, Cyberdyne Systems, to develop an AI capable of running Skynet by August 29th 1997. John Connor sends Kyle Reese after the Terminator, before uncovering Skynet's predictions about Dyson's work, whereby he reprogrammed another Terminator, sending it back to June 8th 1994 to protect his younger self and prevent Skynet's prediction from ever occurring. In short, contrary to popular belief the events of Terminator 2 didn't change the future but instead corrected, protected the timeline. Thus the events of the latter two sequels simply played out variations of events that had already transpired within the original, untainted timeline of events. 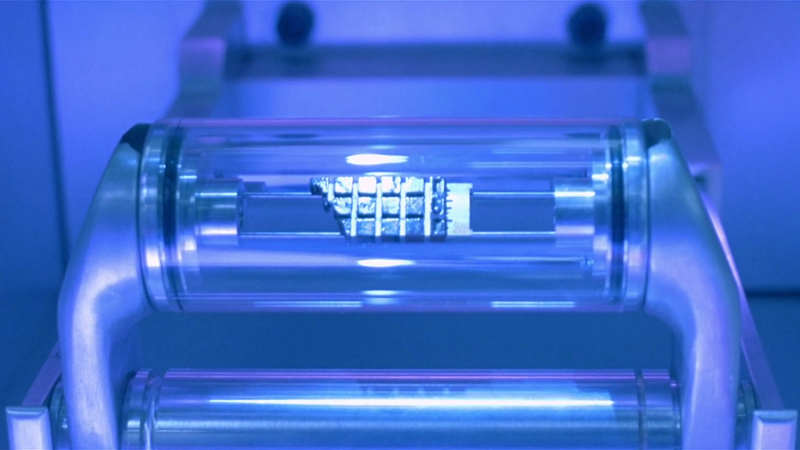 This revelation actually has a much bigger impact on Terminator Genisys. As the new movies opening acts only impact upon the events of the previous first two movies. Regardless of these events the USAF would have still connected their software based AI to their Skynet Defense Network in 2004; it is an inevitability, an immovable object. Thus when Sarah Connor and Kyle Reese travel forward in time to 2017, they should have appeared in the post apocalyptic, machine controlled world we last saw in Terminator Salvation. The fact that they don't is probably one of if not the biggest plot hole in cinema history. 0 Fan responses to The Terminator Timeline Explained, Definitively!